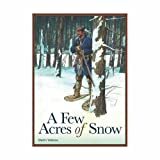 "A Few Acres of Snow" is a two player game about the struggle between Britain and France for control of North America, fought out during the seventeenth and eighteenth centuries. What actions you can perform in the game are determined by the cards you have in your hand and deck. Each nation has its own set of location and empire cards. You increase the range of actions available to you by adding cards to your discard pile, which eventually becomes your draw deck. Cards come in two general types, location cards and empire cards. You add location cards to your deck by settling new locations or capturing them from the enemy. Empire cards are simply drafted, although some of them have to be paid for. Each player starts with control of a number of locations, and has the corresponding location cards in his starting deck. Location cards may be used to settle new locations, develop existing locations, build fortifications, and launch attacks. Locations may also provide a means of transport, income, settlers and militia. the range of actions available to you, such as the governor card, which allows you to remove cards from your hand. You need to tailor the cards in your deck to suit your objectives. If you wish to develop your towns speedily then it will help to have more settler cards in your deck. If you want to win through sheer force of arms then draft military cards. There are also neutral empire cards which can be drafted by either player. The most interesting of these are the Native American cards. 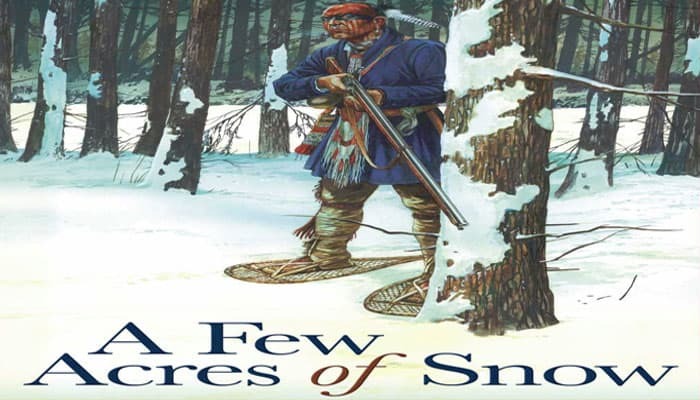 Native Americans allow you to ambush and raid your opponent. Raids in particular can be most discomforting to your enemy, especially if he is British. The game can end suddenly if one player captures a particular location, e.g. if the British take Quebec. It will also end if one player captures a certain number of cubes and discs from his opponent, or when he manages to place all of his discs or cubes on the board. In the latter two cases players add up points to see who has won. Each player has a series of named spaces on his side of the board which are used to hold cards. At the start of the game each player will shuffle and place his initial draw deck face down in the Draw Deck space.